Voip Hardware ( aka ATA or Analog phone adaptor ) is a device that sits between your normal analog telephole and your Internet modem/router. It enables you to make VoIP calls using your normal telephone handset. 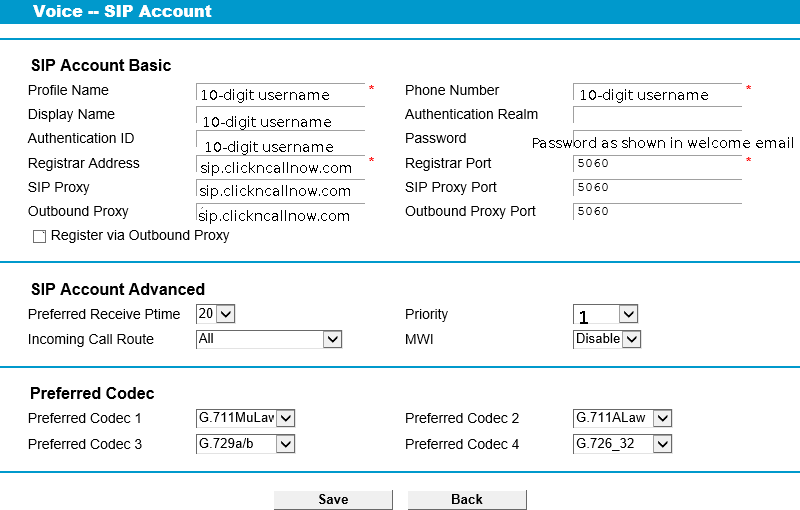 Some modem/router already includes the VoIP features so you don't even need any additional ATA. Our voip service will work with most brand of ATA such as Linksys SPA, Minitar, Billion, NetGear, just to name a few (check out our online voip products). 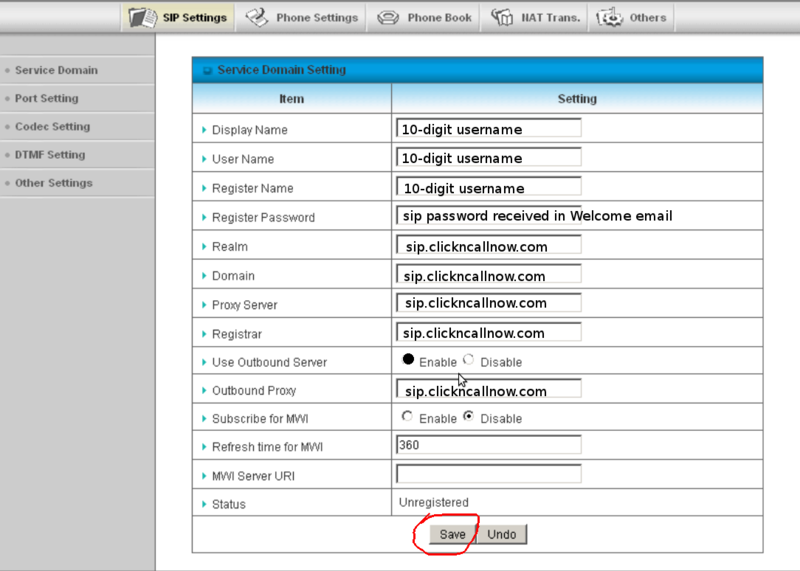 Here are just some examples and set up instructions for some of the popular VoIP ATA and IP phones. You are welcome to send us your setup screenshots and instruction if you have hardware that are not listed here to help others.